Some of Rutland's water mains were installed before Abrham Lincoln was elected president and are still in use today. State officials say infrastructure problems can be fixed through a battery of new efforts, but some require funding that isn't available. Even as state and federal officials direct new money and staffing to water quality efforts across the state, the networks of pipes that bring water to and from Vermont homes and businesses are crumbling beneath their feet. In some places, pipes that are more than 100 years old are causing major problems, but officials simply don't have the resources to replace them. State officials say some of these problems can be addressed through the battery of new water quality efforts, but others will require funding that simply isn't available right now. Jeff Wennberg is standing on the bank of East Creek in Rutland. He's the commissioner of public works in the city, and he's talking about a sewage leak that happened in early August. We're downstream from a small bridge – that part's important. "The leak that surfaced was right about midway underneath the bridge about two thirds of the way across the stream," he says. "There's a little light area there, where it's a little shallow. It was right up in that general area there and you could just see the plume – it was a light, light colored plume – you could see the plume running down the stream and it was just coming right out from underneath the gravel." Then he points straight in front of us: "Well, our pipes run here." That light-colored plume he's talking about was sewage, and it was coming up from the bottom of the stream in a place the city didn't even think it had pipes. Just under our feet are two pipes that carry sewage under the creek to the other side. Officials thought the problem must have been with them. It turns out the sewage was getting into the stream through a pipe officials thought they sealed out of the system in 1970s. "In reality what was happening was both pipes were perfectly good but on the other side of the creek there's an old old structure. It's all brick, and it's 12 feet deep – it's a big one – and at the bottom of the structure is the siphon or the streambed pipe that these pipes replaced. And that's up right in that area there underneath the bridge, and that's what was failing. The question was, how was the sewage getting back into that pipe?" It turns out that 1970s seal had failed at some point, and sewage was slowly making its way into the closed pipe. On East Creek in Rutland, sewage and stormwater flow out of this pipe when the city's sewage system is overloaded. Upstream under the bridge, a mysterious plume of sewage appeared in early August. A plume of sewage flowing into a Vermont creek isn't an everyday occurrence, but it's not uncommon for Vermont's underground pipe systems to be decades old and failing. In Rutland, some of the pipes that carry drinking water to homes and businesses were installed before Abraham Lincoln was elected. Others are newer. But Wennberg says the newer pipes have a shorter lifespan, and the way the math works out, three generations of infrastructure are all failing at the same time. "So we've got 130-year-old pipes that are failing, we've got 80- to 90-year-old pipes that are failing, and we've got 40- to 50-year-old pipes that are failing," he says. "They're all at the vintage where they're all failing together." And Rutland isn't alone. Even as state and federal officials direct money to water quality efforts across the state, the networks of pipes that bring water to and from Vermont homes and businesses are crumbling beneath their feet. "We do suffer from aging infrastructure across the state," says Environmental Conservation Commissioner Alyssa Schuren. "Our pipes for example are in some cases over 100 years old." Old pipes aren't the only problem. 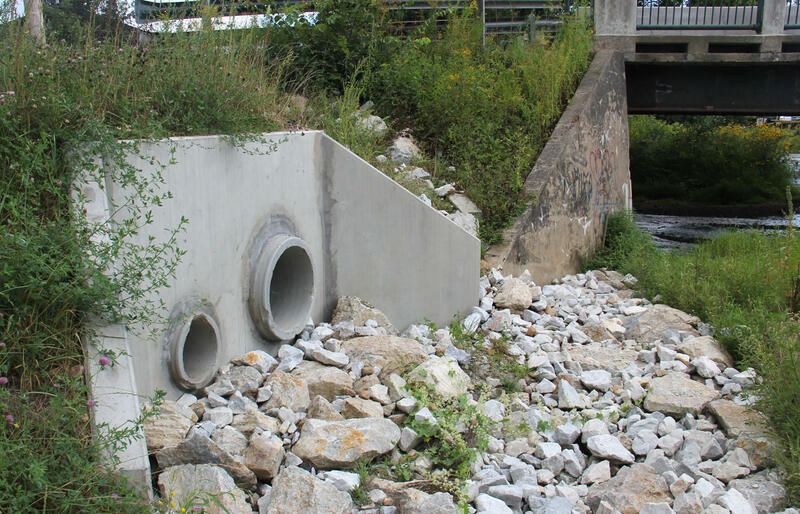 In 16 municipalities in Vermont, the sewer systems are designed to collect sewage and stormwater. They're known as combined sewer systems, and they dump sewage straight into streams when they're overwhelmed by stormwater. "The combination of those two things – what we now know to be a poor design standard, and the aging crumbling infrastrucutre – wind up as a problem in these situations," says Pete Laflamme, the head of the state’s Watershed Management Division. The problems are clear, and Wennberg says the solutions are out there. But they aren't cheap. "I tell people when they complain about the streets or they complain about the water lines or the general state of the public works infrastructure that we don't have a plumbing problem, we don't have a water main problem, we don't have a sewer main problem, we don't have a pothole problem. What we have is a money problem. There's no problem here with any of this infrastructure that can't be fixed. It can all be fixed. The question is, who is going to pay for it and how soon?" With the cash-strapped state government already devoting a lot of new resources to other water quality efforts, there's not a ready answer to that question. The state is developing new regulations to govern combined sewer systems and reduce combined sewer overflows. At the same time, officials are preparing to roll out a series of policies that will require some municipalities to invest big money in their sewage systems. At a meeting about those policies in late August, Hinesburg water system operator Erik Bailey voiced concern that cities and towns aren't going to get enough help with those costs. "Well basically I think the Legislature protected themselves from the electorate by passing a lot of the costs down to municipalities," he says. "Instead of having a broad-based tax system, they increase permit fees, I mean, astronomically." Bailey is worried the water and sewer rate increases that will have to help cover the costs will simply drive people out. These projects are not cheap. In Rutland, Jeff Wennberg says the city has started making progress toward separating stormwater out of sewage so these overflows don't happen anymore. "Right now," he says, "we are literally just finishing up this week and next, a $5.2 million sewer separation project in one of the older sections of town, the Northwest neighborhood." Rutland just spent $5.2 million to separate stormwater from sewage in the city's northwest neighborhood. The work included adding an underground device that treats stormwater before it flows out of this pipe into East Creek. It cost Rutland $5.2 million to fix the city's system one neighborhood, but in order to eliminate combined sewer overflows in Vermont, Rutland has to do the same thing city-wide, and so do 15 other communities. 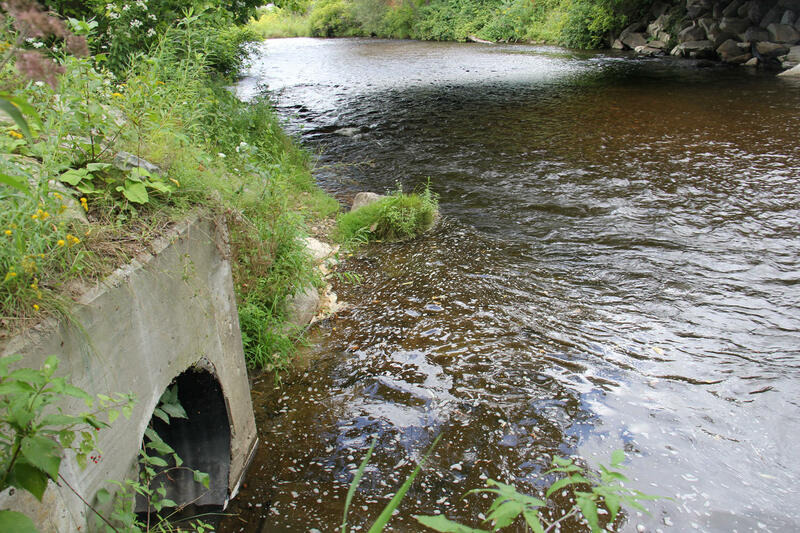 Schuren at the Department of Environmental Conservation is optimistic the new combined sewer policy coming late this year will put the state on the right path. "We shouldn't have these [overflows] in society any longer," she says, "and we can imagine – we envision a future where we have phased these out completely." But when? And how much will it cost? Schuren says that depends on priorities. And right now the state has targeted phosphorus pollution. And despite the obvious problems with dumping raw sewage into waterways, it's not a major source of the phosphorus that regulators are focused on. "We have a lot of opportunity to address that within the context of these other conversations, but it will still come down to money ultimately, and is that pot of money big enough to address all these issues at once. Of course we have to get there, but there'll be some tough decisions along the way with regard to resources that I think municipalities and we as a state will need to wrestle with." Like Wennberg says: It's not an infrastructure problem, it's a money problem. Earlier this month, the Environmental Protection Agency and the Vermont state government released new targets for reducing pollution in Lake Champlain and a detailed plan for how the state would reach those targets. But the plan is already attracting some criticism. Sometimes Vermont's sewage plants dump sewage into rivers and lakes. And they're allowed to. What's up with that?